An affordable rental housing community has been approved. What’s next? 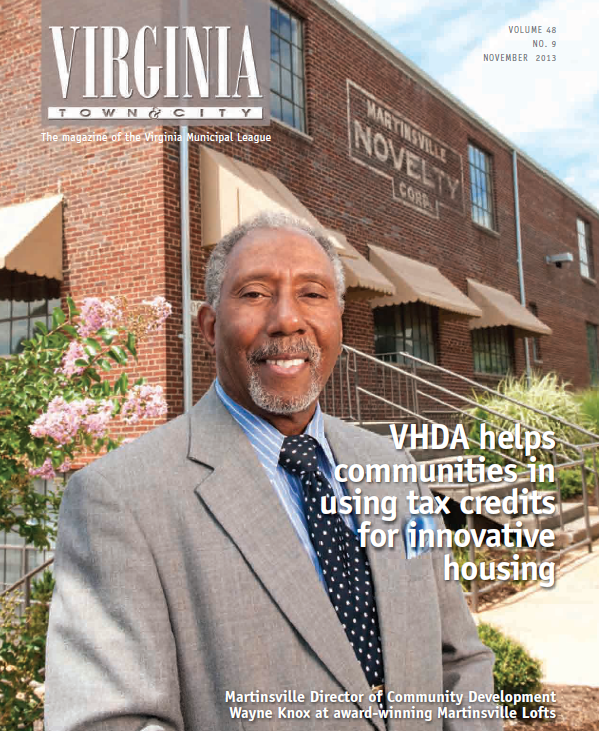 When the developer is using Virginia Housing Development Authority (VHDA) financing or VHDA-allocated Low-Income Housing Tax Credits (LIHTC), it’s not what, but who. Apartment construction is complex, and community expectations are high. Reputations, money and high quality standards are on the line with every project. VHDA’s experienced construction control officers make sure those things are protected — along with the needs of potential residents. With 226 affordable rental communities financed across Virginia through loans and/or tax credits since 2008, which includes 35 communities incorporating 2,799 apartments in just the past year, the state’s housing finance authority has developed a strict, by-the-book formula for success. VHDA’s construction control process is demanding, encompassing thousands of details, dozens of meetings and numerous onsite inspections every step of the way — from pre-construction to the latent defect walk-through that typically takes place a year after the project is completed. No project is without its challenges. New construction requires verification of each and every stage of a massive amount of work going on simultaneously. Renovations and adaptive reuse construction typically entail diverse challenges that are as unique as the buildings involved. Since all members of VHDA’s construction control team have both construction and construction management experience, they understand these challenges and are able to help property developers avoid costly mistakes that may crop up either during construction or after occupancy. Reviewing work-in-place to make sure it conforms to VHDA minimum design and construction requirements. Overseeing compliance with manufacturers’ warranty requirements. Managing general conformance with standard construction practices. Verifying that work-in-place matches the work that is being billed for. Handling minimum design and construction waiver requests. Controlling project closeout requirements, such as determining construction escrow. Along with these requirements, additional conditions come into play for tax credit allocation properties. These rental communities must also provide amenities such as energy-efficient appliances, high-efficiency HVAC and Unified Statewide Building Code (USBC) accessibility for the physically impaired, along with many other amenities agreed to by the developer in the tax credit application. Properties that are awarded historic tax credits also face additional requirements imposed by the Department of Historical Resources. Sometimes these various rules and regulations can conflict with each other. It’s the job of the construction control officer to work with the contractor and guide them in a direction that won’t compromise the success of the project in the eyes of VHDA or the apartment community’s residents. “While it’s true there is a learning curve for developers when they’re exposed to our tough quality standards for the first time, usually after working with us they understand the value of having another ‘set of eyes’ financially invested in the success of their project to help make sure all the i’s are dotted and the t’s are crossed,” Shelly said. Developers can also benefit from VHDA’s experience working with EarthCraft and other third parties that provide leading edge technologies, such as resource-efficient design and green building materials. The goal is to provide well-constructed, energy-efficient and safe homes for the low- and moderate-income Virginians who need them. After the construction phase is completed, VHDA’s asset managers use regularly scheduled property inspections, compliance audits and financial reviews to ensure the property’s management team continues to meet expectations of excellence for 30 years — the duration of the financing. To learn more about VHDA’s commitment to quality construction, and the important role it plays in affordable rental housing, please contact Ray Shelly at 804-343-5554 or Ray.Shelly@vhda.com.